Heeft u een vraag voor Hotel W Topdong? Een kwaliteitsaccommodatie voor wie geïnteresseerd is in bezichtiging van bezienswaardigheden, restaurants, winkelen: het Hotel W Top-Dong in Jeju eiland is een prima adres voor zowel zakelijke reizigers als toeristen. Vanaf hier kunnen gasten genieten van eenvoudige toegang tot alles wat de levendige stad te bieden heeft. Met de belangrijkste attracties van de stad - zoals Dongmun Markt, Jeju Mokgwana voormalig Jeju overheidskantoor, Emart winkel - binnen handbereik, zullen bezoekers van het hotel de locatie waarderen. 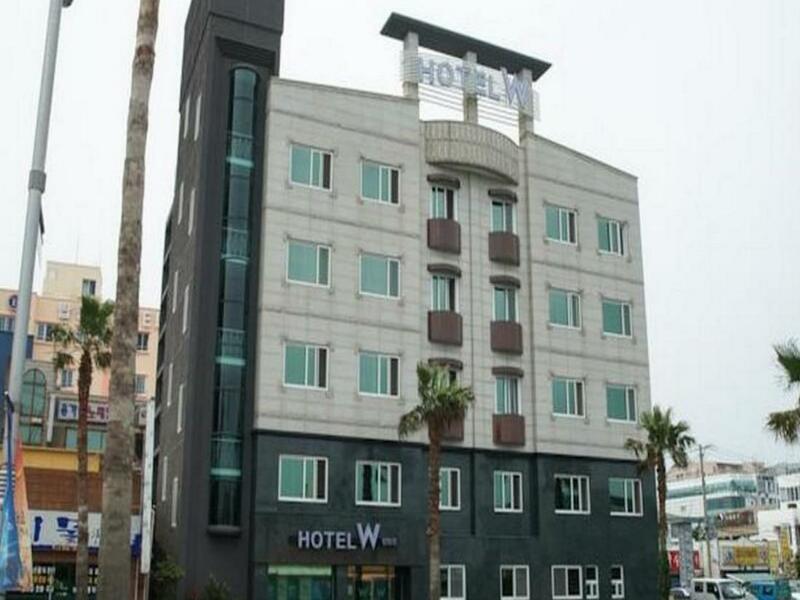 Het Hotel W Top-Dong biedt tevens vele faciliteiten om uw verblijf in Jeju eiland zo aangenaam mogelijk te maken. Terwijl u verblijft in deze geweldige accommodatie, geniet u van faciliteiten als gratis wi-fi in alle kamers, 24-uur receptie, bagageopslag, wi-fi in openbare ruimtes, parkeerplaats. Ervaar kamerfaciliteiten van hoge kwaliteit, inclusief plasma tv, draadloos internet (gratis), airconditioning, verwarming, internet, om tot rust te komen na een lange dag. Daarnaast garanderen de talrijke recreatieve mogelijkheden dat u zich tijdens uw verblijf kunt vermaken in het hotel. 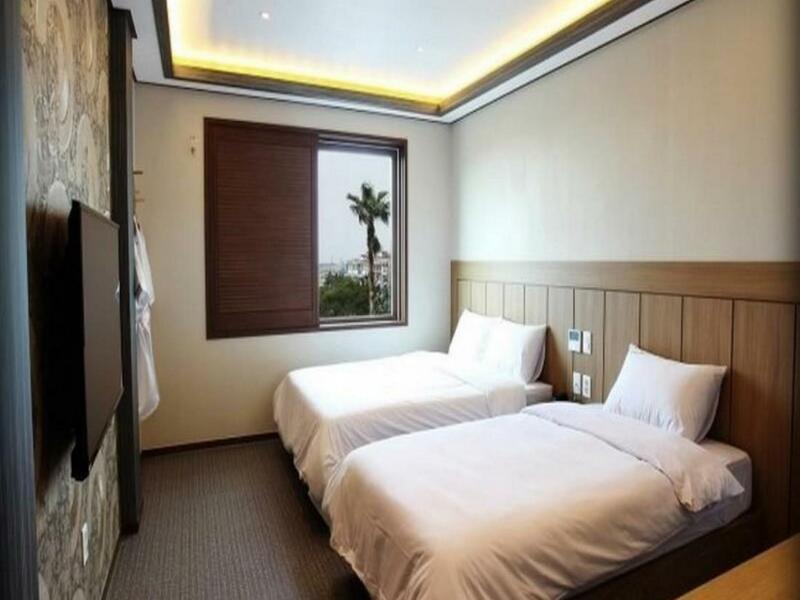 Als u zoekt naar comfort en gemak in Jeju eiland, dan is het Hotel W Top-Dong uw thuis ver weg van huis. Hotel room is clean & spacious. They have a separate door for the bedroom & bathroom apart from the main door to the room, which makes the hotel stay feels safe & at home. Room comes with a 55" TV which makes the whole room not a budget setting but a luxury enjoyment. Lastly, food can be found easily near the hotel with McDonald's right opposite the hotel. And black pork street is just at the back alley. Jungang underground shopping centre is also within walking distance. I am very satisfied with the room that we have booked with Hotel W TD. Our view was the beach view, and everything in the room, from the bed, toilet, dressing table was clean, looks new and in order. It was also located just besides the black pork street, so food was never a problem. Airport was within 10 minutes by cab. If you want to go to Segowipo, then it will be further away by cab of around 45 mins for around S$35. But else, everything was perfect about the hotel. I do highly recommend for people going to Jeju to stay there for the money and the quality. Staff were friendly and accommodating. The room was spotless, comfortable and well presented. Stayed on the ocean side across from the fair ground, but the noise wasn't noticeable at all with the window and shade closed. Definitely recommend staying here. Overall no complains. Hotel is located opposite McDonald and a convenient store. It's also very close to Black Pork Street. Hotel has car park next to its building (open air) which we needed as we rented a car. Room size is ok. Comes with a super-huge TV. the rooms are clean, all usual add-ons and some more are provided the location is very good, just a few steps from the sea and the raw-fish street higher rooms are preferred, since there is less street noise - the noise from the small funfair can be a little bit disturbing if you want to go to sleep before 10pm much value for the money! It is located at city centre, just next to the famous black pork street and fish street. Also 5mins walk to shopping distinct. You could find some small local food store/ restaurant, supermarket/ convenience store around the hotel. Around 10mins drive to the airport. The room is big and clean and with a good sea view considering the amount of money we paid. I would definitely stay in this hotel again next time I go to jeju. The hotel was just what we expected. We had a great view to the ocean and the location was very good. We were literally right beside sashimi street and black pork street (but I would recommend driving around the island for restaurants that have better view with cheaper price) the check in was very quick and there was ample parking in the front and in the back of the hotel. The room was clean and comfortable with basic amenities you would expect to find. Highly recommended. Worth the money. Very near to the black pork street as well as the shoppinv area. Walking distance to the underground shopping area as well as dongmun market. Facing the sea too. Great Stay. Parking lot available for tourists who rent cars in Jeju Island. Near to Airport too.Room is clean and spacious. Computer is available in the room as well. Place was well located. Walking distance from the black pork street and opposite Macdonald and a Convenient stall. Near to airport as well. Clean and Big room. The room was clean and spacious. There was cleaning service every day. Not much restaurants around the area but easy access to cab or taxi. 15 min drive to airport. Located across the port. There was Mcdonalds, E-mart, and convenience stores nearby. Only downside was the noise of the construction outside. The hotel logo is easy to identify with a illuminated "W". The "lobby" looks like a security room but fastest check-in and check-out I've ever encountered. Although the nearby amusement park is quite noisy, once the windows are closed, the problem is solved. Seems like the whole room is sound-proof. The bed is very big but quite hard. Other than the black pork street, we have also tried abalone porridge,kimchi stew, sea urchin seaweed soup, grilled fish (also at the back of the hotel) which was also patronised by quite a number of Korean artists. Overall, it is value for money for the location.